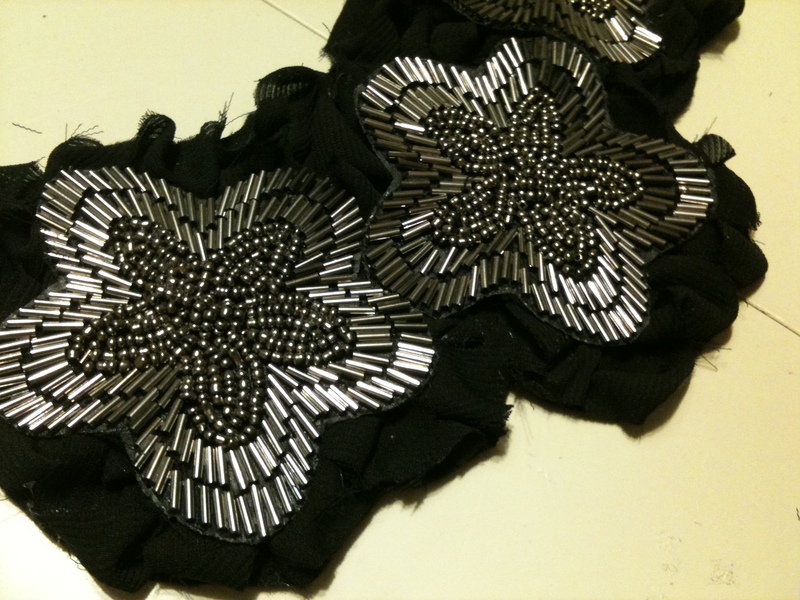 Beaded embellishments. 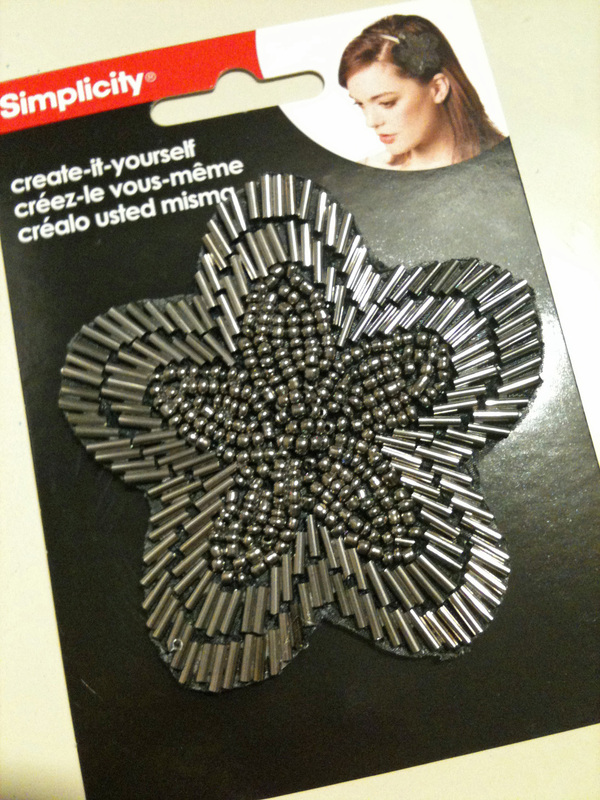 I found my 3 star/flower embellishments at Walmart in the craft department for about $2.50 each. Scrap fabric. 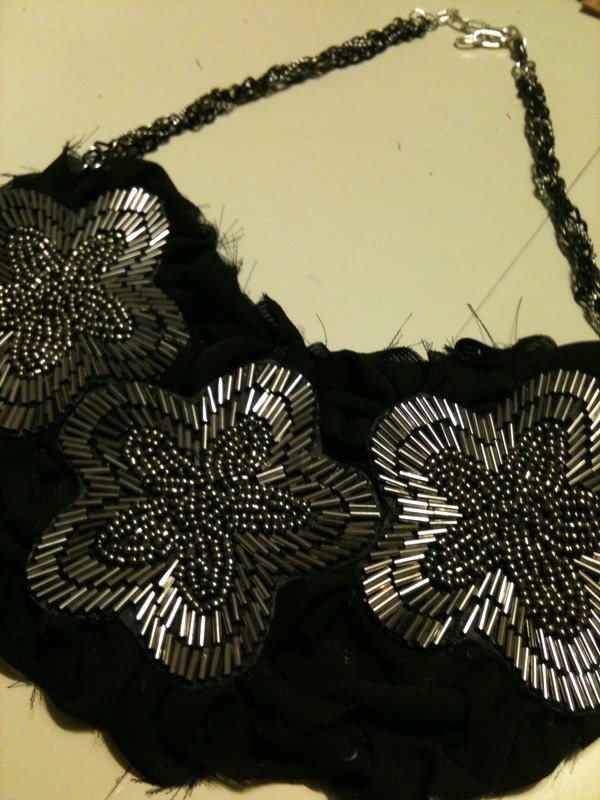 I used leftover black chiffon. 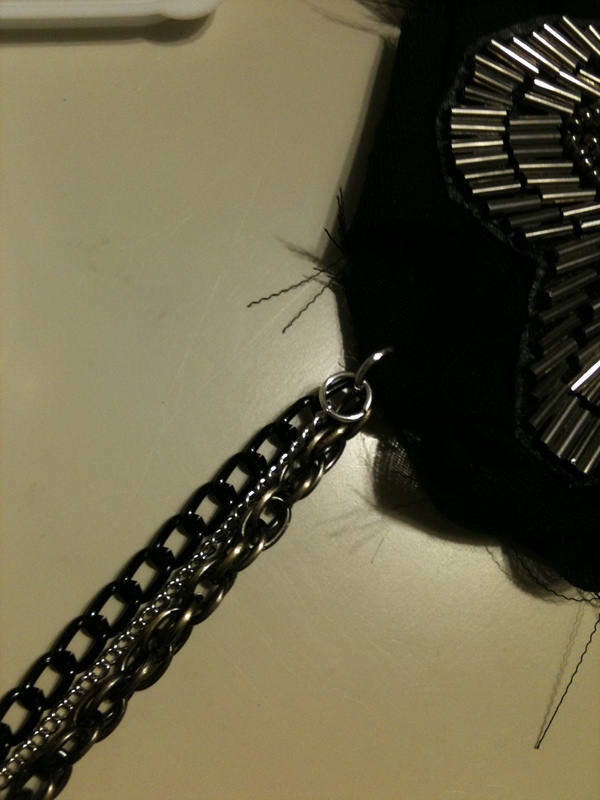 Chain and necklace findings, or you could use black satin ribbon as the tie. 1. 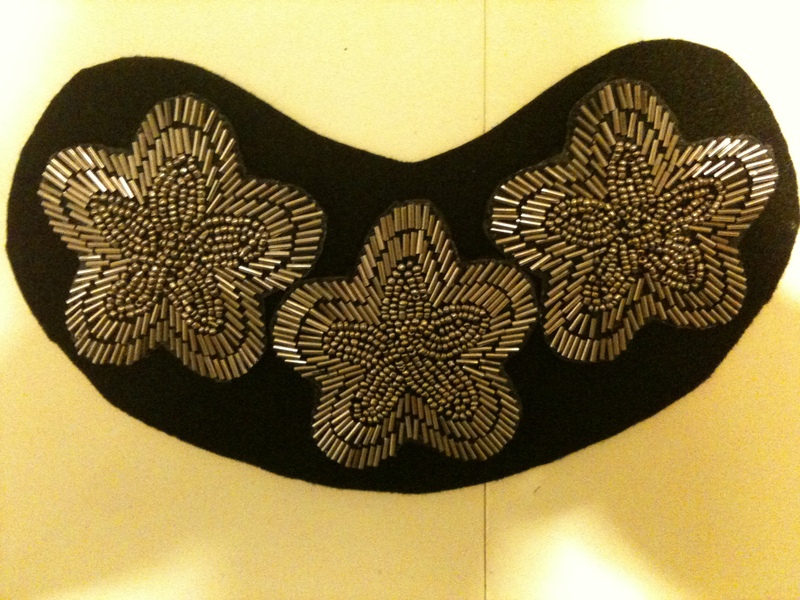 Find a layout that you like with your beaded embellishments. Lay them out on your felt. 2. 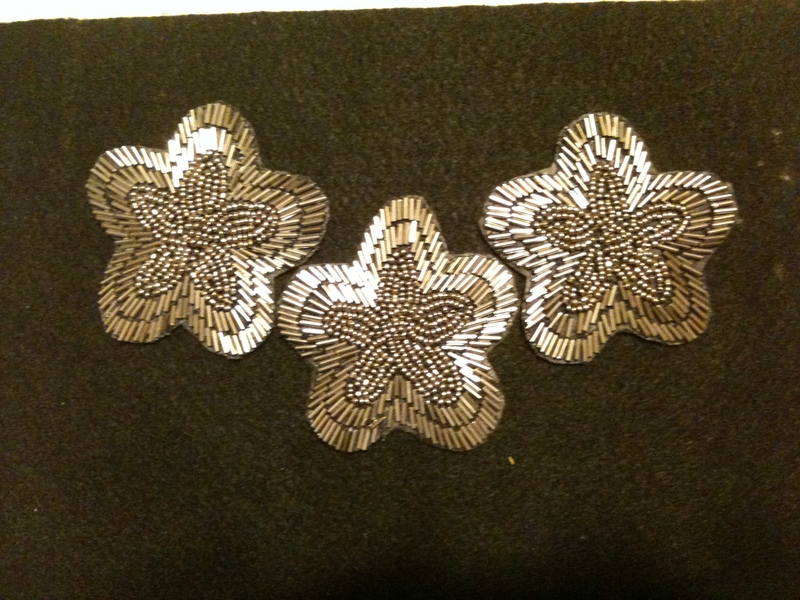 Cut around the embellishments, leaving about a half inch to an inch of felt on all sides. 3. 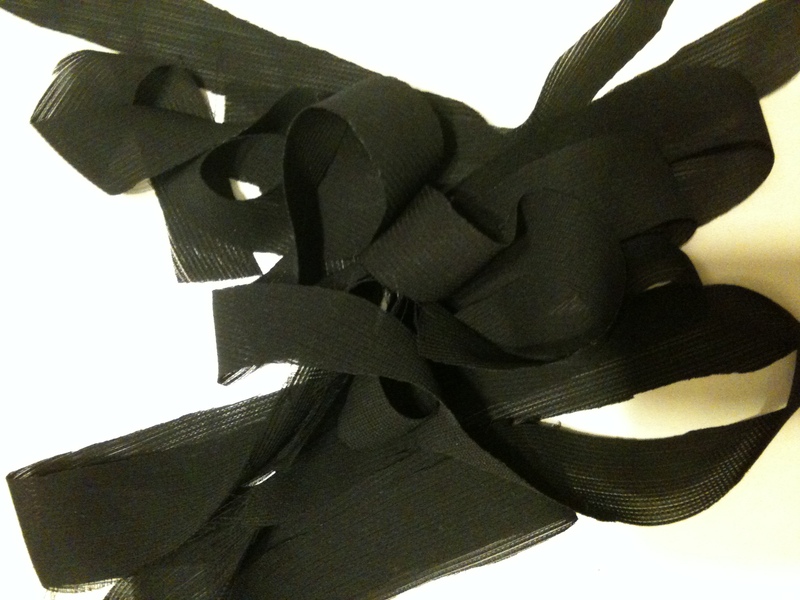 Cut your scrap fabric into thin strips (about a half inch or so wide). 4. Begin hot gluing your fabric strips to the felt bib piece, twisting and squiggling the fabric around the spots where the embellishments will go. 5. 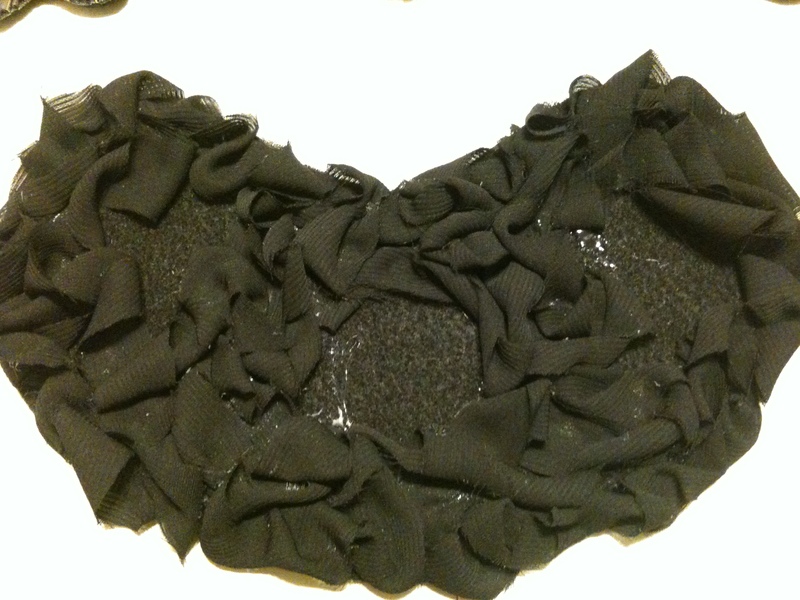 Hot glue your embellishments into place (the edges of the embellishments should be overlapping the twisted fabric portion of the bib so you can’t see any empty felt). 6. I ended up giving my bib a bit more shape by cutting around the embellishments a bit more instead of just leaving the bib as a big “smiley”. 7. 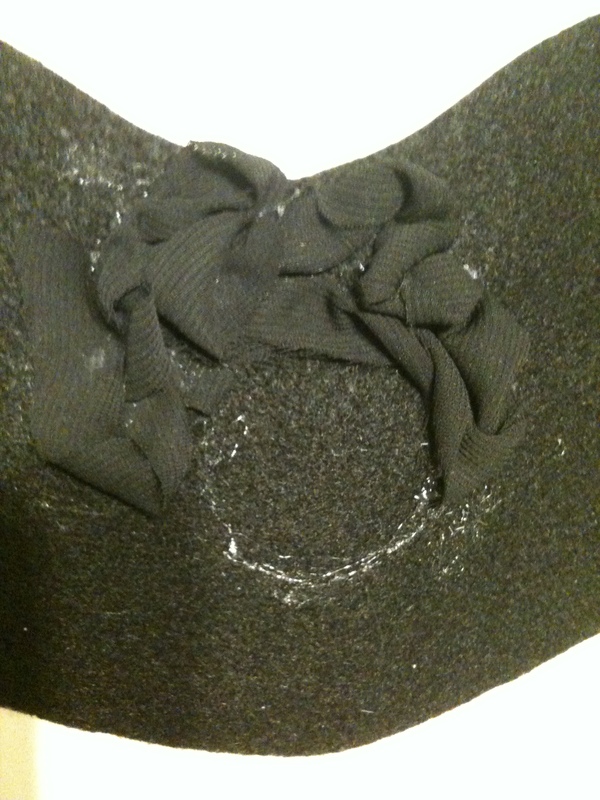 Cut small holes in both ends of the bib to attach the chain/ribbon to. 8. 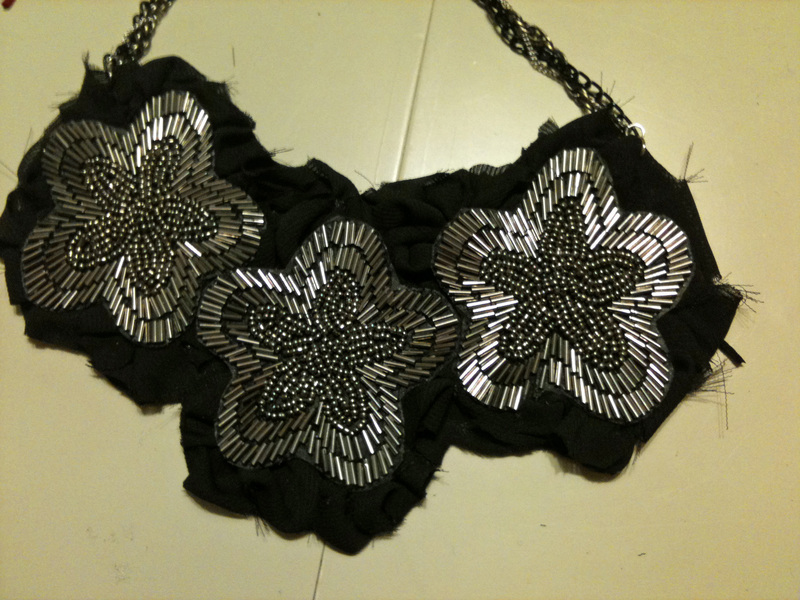 Attach the necklace portion to the bib with jump rings. Thats it! You’ll be amazed at how many things you can wear this with! I wore it the other night at my mother-in-laws suprise party with a simple black and white striped tshirt and cute green skirt and it completely transformed the outfit. I’ll have to get pics of that outfit up soon. It really did look so cute with that striped shirt.